Namusika Teopista seven months pregnant with her fourth child. When a mother dies in childbirth, her infant has only a 19 percent chance of surviving his or her first month of life. In the last two decades, the number of maternal deaths per 100,000 live births has decreased by more than 50 percent in U.S. Agency for International Development’s (USAID) 25 priority countries for maternal and child health. Despite such substantial progress, the World Health Organization reports that 830 women still die every day from preventable causes related to pregnancy and 99 percent of maternal deaths occur in developing countries, a reflection of the deep inequities in accessing health services. Enabling and mobilizing individuals and communities. Integrating the community into the health system is essential. USAID partners with community leaders, local and national governments, and private sector organizations to improve the equity of access to high-quality care for women and their families. Advancing quality, respectful care. We center our work around enabling and mobilizing individuals and communities to advance quality, respectful care for women and their families. We work to make sure that pregnant women have access to antenatal care, seek out and receive quality and respectful skilled care during delivery, and benefit from postnatal care. Strengthening health systems and continuous learning. Through both public and private sector partnerships, USAID works to strengthen countries’ health systems holistically, at all levels of operation. In addition, USAID promotes innovation and research in both policies and programs and works to scale-up high-impact, sustainable interventions. Saving Mothers, Giving Life evidences maternal mortality reductions in supported districts by 41 percent in Zambia and 44 percent in Uganda. USAID’s Saving Lives at Birth has leveraged $100 million in additional funding and awarded 116 promising maternal and newborn health innovations. USAID-supported midwifery campaign impacts Malawi's Ministry of Health policy priorities. 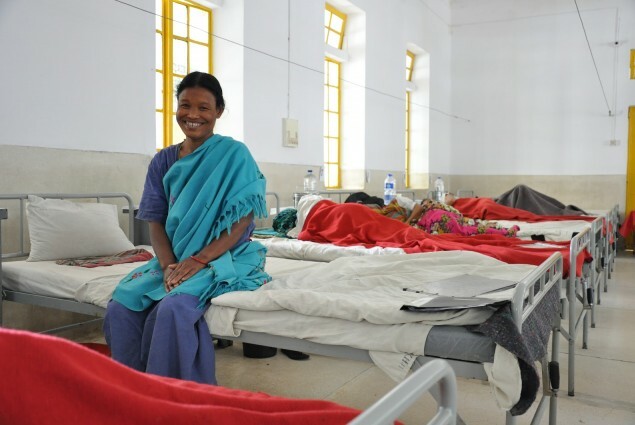 USAID announces a milestone achievement in our fistula care work: 50,000 repairs. From 2012 to 2017, USAID supported 8.7 million women giving birth in a health facility.